Want something quick and easy for breakfast that you can take on the go, and yet is satisfying, filling, and nutritious? Make my Green Mango Smoothie! You know my love for mangoes! I typically prefer fresh ones, but picked up a bag of frozen mango cubes at a grocery store over the weekend. 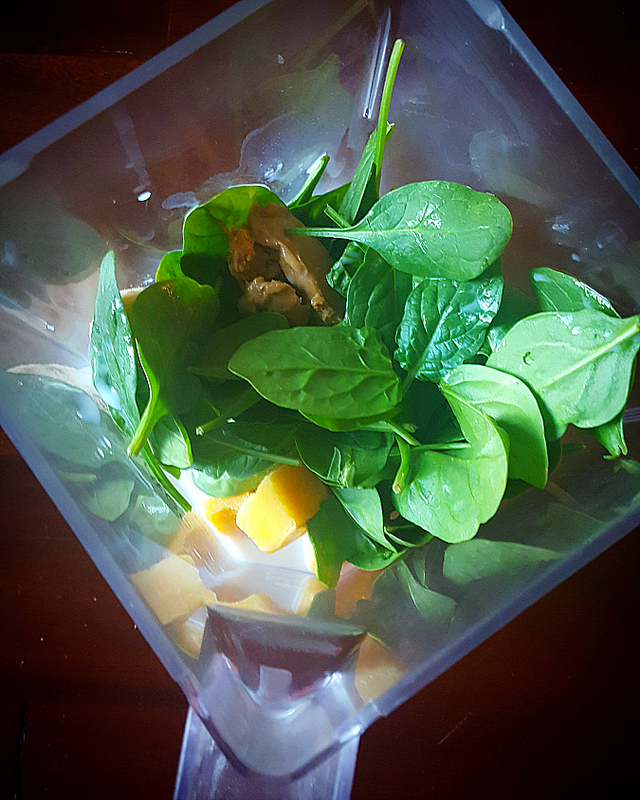 I also picked up a bag of baby spinach. While wondering around the grocery store picking up random ingredients, I remembered I had a lone banana in the fridge: SMOOTHIE, I thought. 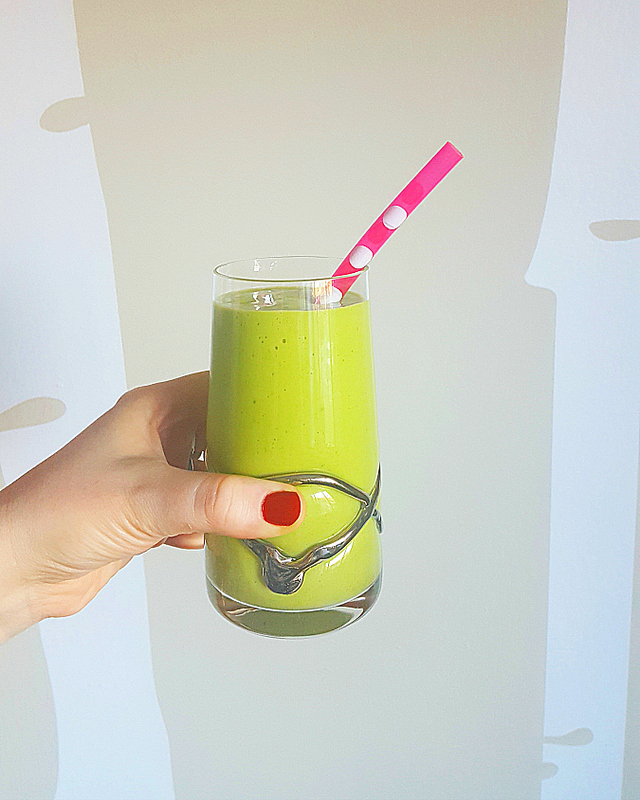 I grabbed a container of almond milk and made Green Mango Smoothie the following day. 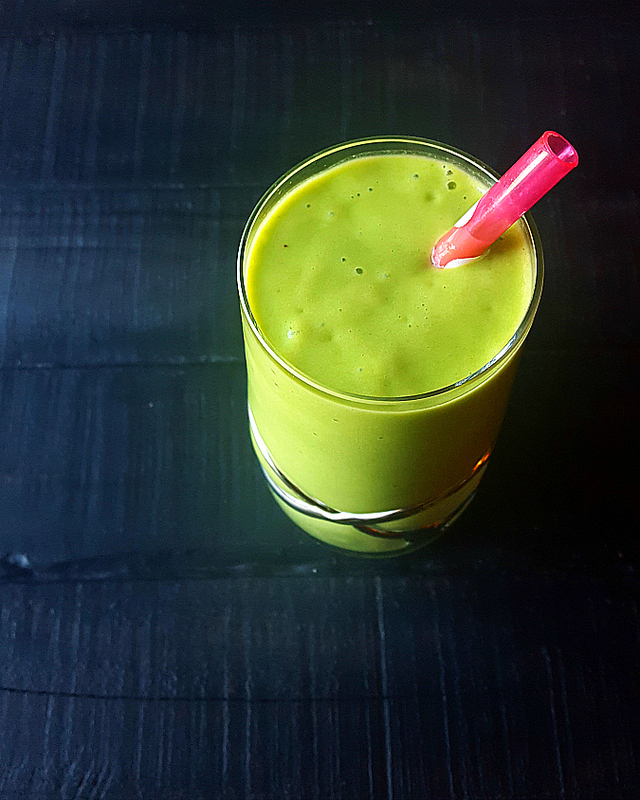 The green comes from spinach, but you seriously can't even taste it! Pure all ingredients in a blender until smooth. This smoothie was so good! I had it for breakfast on Monday and Tuesday and it kept me pretty full until lunch time (there was also a large mug of coffee). 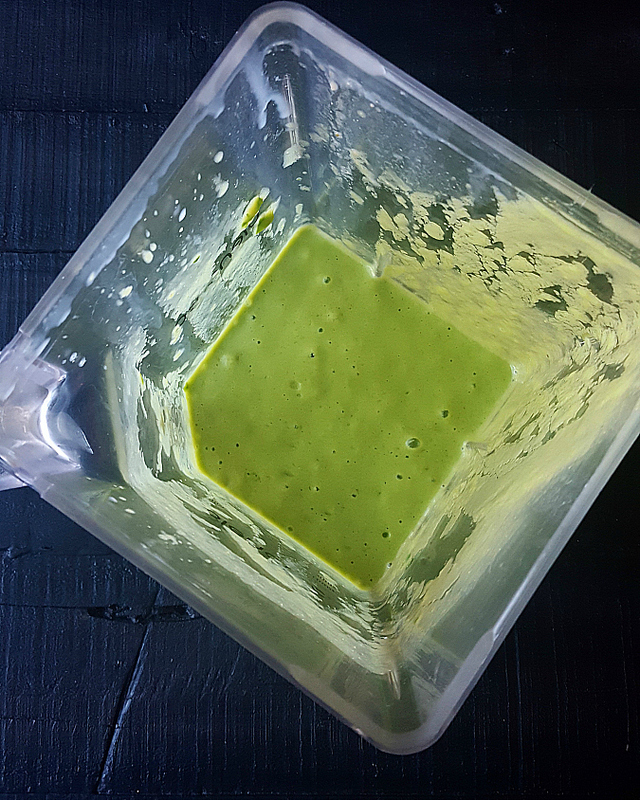 The smoothie mixture did not separate as it sat in the fridge, and the texture remained smooth and silky.